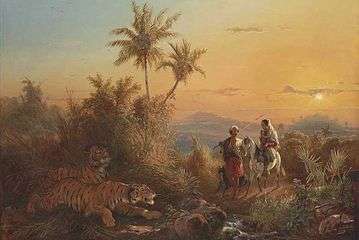 Raden Saleh Sjarif Boestaman (1811 – 23 April 1880) was a pioneering Indonesian Romantic painter of Arab-Javanese ethnicity. 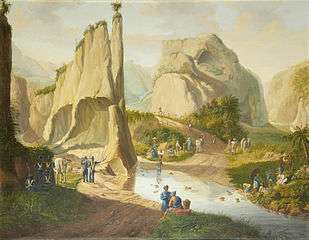 He was considered to be the first "modern" artist from Indonesia (then Dutch East Indies), and his paintings corresponded with nineteenth-century romanticism which was popular in Europe at the time. He also expressed his cultural roots and inventiveness in his work. 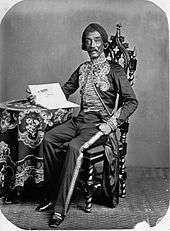 Raden Saleh Sjarif Boestaman was born in 1811 in Semarang on the island of Java in the Dutch East Indies (present-day Indonesia). He was born into a noble Hadhrami family where his father was Sayyid Husen bin Alwi bin Awal bin Yahya, an Indonesian of Arab descent. He was the grandson of Sayyid Abdullah Bustaman maternally. 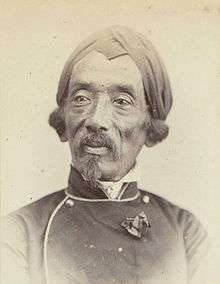 Raden Saleh has family connection through his sister, Roqayah, to Habib Ali Kwitang who once married to father of the Habib but had no offsprings. Young Raden Saleh was first taught in Bogor by the Belgian artist A.J. Payen. 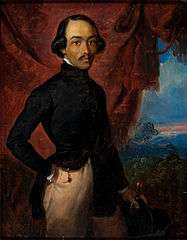 Payen acknowledged the youth's talent, and persuaded the colonial government of the Netherlands to send Raden Saleh to the Netherlands to study art. 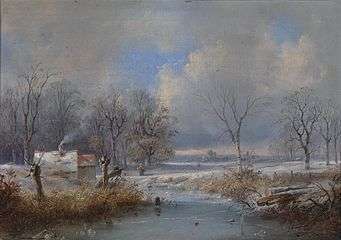 He arrived in Europe in 1829 and began to study under Cornelius Kruseman and Andreas Schelfhout. 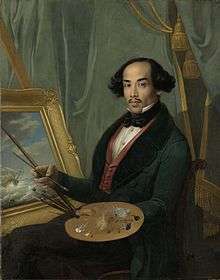 It was from Kruseman that Raden Saleh studied his skills in portraiture, and later was accepted at various European courts where he was assigned to do portraits. While in Europe, in 1836 Saleh became the first indigenous Indonesian to be initiated into Freemasonry. 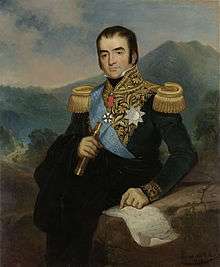 From 1839, he spent five years at the court of Ernest I, Duke of Saxe-Coburg and Gotha, who became an important patron. 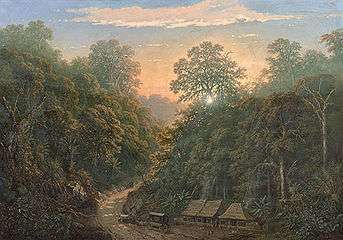 From Schelfhout, Raden Saleh furthered his skills as a landscape painter. 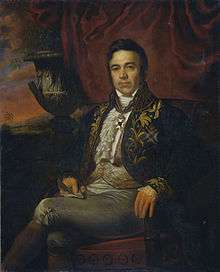 Raden Saleh visited several European cities, as well as Algiers. 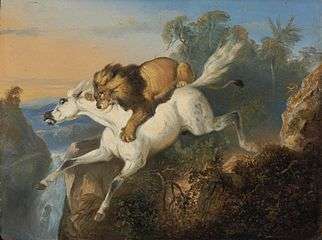 In The Hague, a lion tamer allowed Raden Saleh to study his lion, and from that his most famous painting of animal fights was created, which subsequently brought fame to the artist. 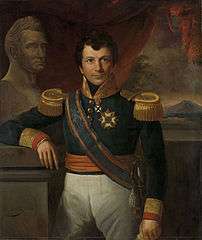 Many of his paintings were exhibited at the Rijksmuseum in Amsterdam. 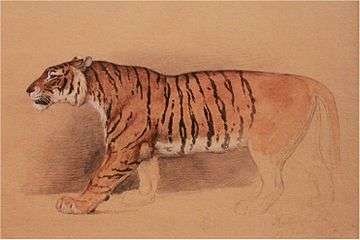 Several of his paintings were destroyed when the Colonial Dutch pavilion in Paris was burnt in 1931. 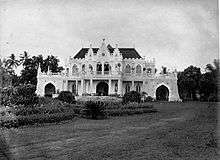 He married a young aristocratic woman of Yogyakarta Sultanate, Raden Ayu Danudirdja, in 1867 and subsequently moved to Bogor, where he rented a house near the Bogor Botanical Gardens with a view of Mount Salak. He later took his wife to travel in Europe, visiting countries such as the Netherlands, France, Germany, and Italy. His wife however contracted an illness while in Paris, the exact illness is still not known, and was so severe that they both immediately returned to Bogor. :30 She died on 31 July 1880,:30 following her husband's death three months earlier. 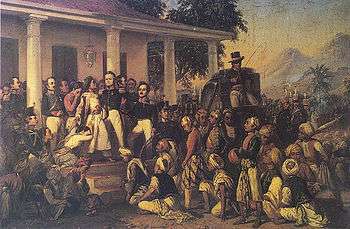 The Arrest of Pangeran Diponegoro, 1857, Merdeka Palace Museum, Jakarta. 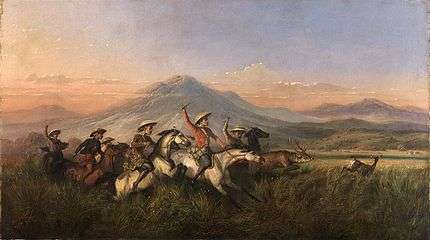 Raden Saleh is particularly remembered for his historical painting, The Arrest of Pangeran Diponegoro,:26 which depicted the betrayal of the rebel leader Prince Diponegoro by the colonial government, thus ending the Java War in 1830. 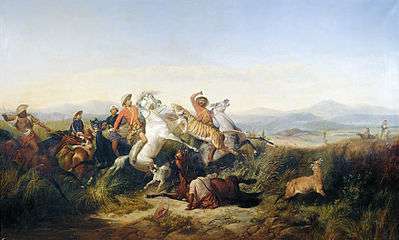 The Prince was tricked into entering Dutch custody near Magelang, believing he was there for negotiations of a possible cease-fire. He was captured through treachery and later deported. Raden Saleh’s work has been regarded as a sign of incipient nationalism in what was then the Dutch East Indies. This can also be seen it the depiction of Diponegoro's men. Pieneman had never been to the Indies, and so depicted Diponegoro's men in a more Arabic fashion. Saleh's version has a more accurate depiction of native Javanese clothing, with some figures wearing batik and blangkon. ↑ Algadri, Hamid (1994). Dutch Policy against Islam and Indonesians of Arab Descent in Indonesia. Jakarta, Indonesia: LP3ES. p. 187. ISBN 979-8391-31-4. Retrieved April 28, 2011. 1 2 3 4 5 6 7 8 9 10 "Pioneer Between Worlds", National Geographic Indonesia, 2012. ↑ Novia D. Rulistia (August 2, 2013). "Raden Saleh's masterpieces to undergo restoration". The Jakarta Post. Retrieved 29 November 2013. Heuken, Adolf (1982). Historical Sites of Jakarta. Jakarta, Indonesia: Cipta Loka Caraka. Yayasan Untuk Indonesia (2005). Ensiklopedi Jakarta: culture & heritage, Volume 3. Jakarta, Indonesia: merintah Provinsi Daerah Khusus Ibukota Jakarta, Dinas Kebudayaan dan Permuseuman, Indonesia. ISBN 978-979-8682-52-0.